If you’re a dairy drinker like me (gasp! A dying breed), you may have been feeling a bit more pressure to switch to something nutty in recent months. But with a new milk alternative popping up every day, it can feel overwhelming to pick from all these options. Should I have one preferred type of non-dairy milk for my coffee? What about my superfood smoothies? These burning questions launched me into my latest cold brew-fueled quest for answers—to find the best non-dairy milk ever. However, the more research I did, the more I realized there actually isn’t a clear-cut winner in the race for the best milk alternative, it’s more along the lines of which milk alternative is right for you. So we gathered all the facts (including some pretty surprising ones) about eight of the most popular non-dairy milk alternatives. The choice is now in your hands! So by now, I’m sure you know that oat milk is trending. The New York Times reported that Oatly, the most popular brand of oat milk coming out of Southern Sweden, went from being served at only 10 New York City locations to over 1000 in just one year. This boom might be why oat milk lattes are quickly on their way to becoming Instagram’s beverage of choice. As for the facts: Compared to other non-dairy kinds of milk, oat milk has some of the lowest fat content, lowest sodium, and highest fiber if that’s something you’re into (I know I definitely don’t get as much fiber as I need). It’s also great for those with allergies to nuts or soy. Bonus: compared to other milk alternatives, oat milk has some of the highest protein content, which is great news for those looking to add some extra protein into their diets, like vegetarians and vegans. 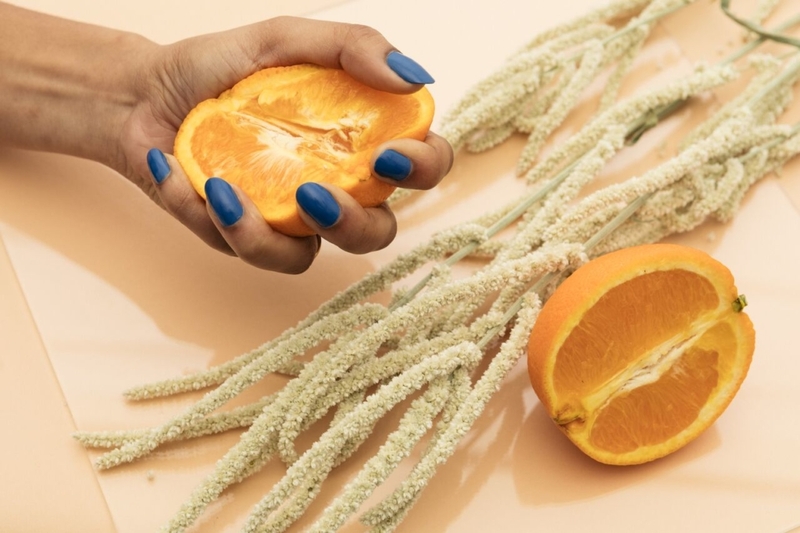 Be aware of the sugar though—while oat milk is naturally pretty sweet to begin with, since it’s made from a carbohydrate, it breaks down into a simple sugar. So while this is more than likely a natural sugar like fructose or glucose, read the label to see if they include any added sugars so you can be more in control of your sugar intake. Ah, the reigning king of the milk alternative kingdom. Almond milk has enjoyed quite a lengthy stay as the most popular non-dairy milk—and with good reason. McKel Hill, nutritionist and founder of Nutrition Stripped, says that almond milk, “naturally contains vitamin E, B vitamins, manganese, magnesium, calcium, iron, phosphorus, copper, zinc, and healthy fats,” (the monounsaturated kind). 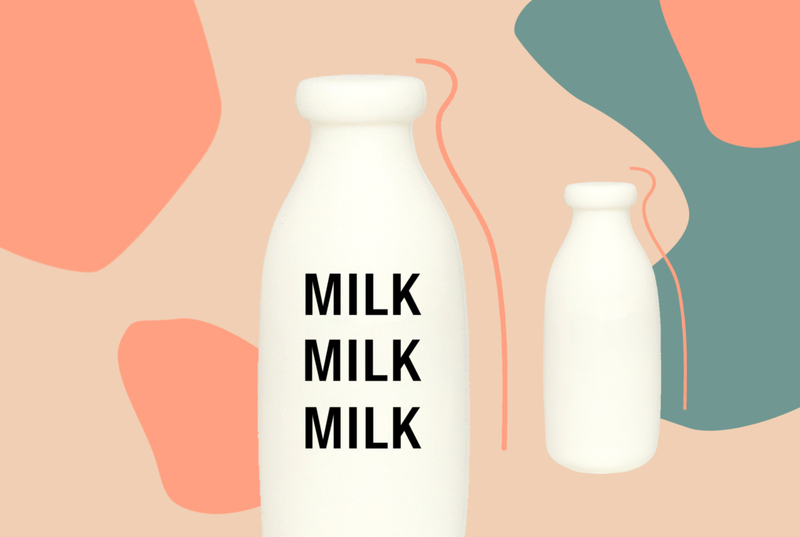 When purchased in shelf-stable varieties, almond milk can also be bought in bulk and lasts a pretty long time (we’re looking at you, oat milk shortages). Oh, and one more thing: super low in calories. Unfortunately, the list of negatives has been growing recently for almond milk. Aside from the obvious fact that it’s a no-go for those with nut allergies, it turns out there aren’t that many real almonds in almond milk, to begin with—around 2 percent—the rest is mostly water. It has very little protein, too, due to the way the milk is made, even though almonds themselves are a great source of protein. Unfortunately, There are some lesser-known options like Orgain’s Organic Protein almond milk that contain 10x the protein compared to popular almond milks. Lastly, and this one might be a little more obvious but we gotta say it: it really tastes like nuts. This could be a problem if you’re trying to stay close to the taste and feeling of dairy milk. Cashew milk is much less famous than its high-profile cousin almond milk, but it’s actually not that different. Both options are extremely low in calories with cashew milk just edging out almond milk as the lowest and having roughly the same Vitamin D, fat, and sugar levels. The biggest difference is surprisingly taste and texture. Cashew milk has a creamy texture, and is a lot less “nutty” than almond milk, making it one of the most similar options to traditional cow’s milk (Big win for dairy aficionados that have practically gone into hiding). Soy milk’s been around for quite a long time now. It definitely missed out on the wave of trendiness that most nut milks are seeing now but that doesn’t make it any less effective. Like most dairy milk alternatives, soy milk is great for those who are allergic to lactose, but also those allergic to nuts (who’s trendy now?). Unfortunately, soy allergies are common too, so this milk alternative isn’t a guarantee for everyone. As for the nutritional stats, soy milk actually holds its weight in terms of protein compared to other types of milk, even dairy, with roughly seven to nine grams of protein in one cup of unsweetened soy milk. The protein in soy milk is actually a “complete protein,” which provides necessary amino acids that your body can not produce on its own. (I don’t know about you, but I think that’s kind of cool). It’s also pretty low in calories, anywhere between 60-90 per cup depending on the brand, and saturated fats as well. The studies behind the effects of soy milk are confusing to say the least- specifically the effects on the human body. Some studies have linked the isoflavones in soy (an estrogen-like compound) to tumor growth, thyroid issues, and female infertility, while some say it has a “protective effect” on breast cancer. However, even more recently, research has shown that it can actually improve infertility, decrease risk of certain cancers, and protect your heart- if you eat it in the correct form. Minimally processed forms of soy are the best kind for the body, as they contain all the positive aspects of soy that get stripped away and replaced with fillers like sugar and sodium. Be sure to look for this in your products like tofu, edamame, and of course, soy milk. Coconut milk is not for the faint of heart. Regular coconut milk (the canned variety) is super creamy and very high both in calories and fat—roughly 450 calories a cup high, once it’s sweetened. It’s often compared to heavy cream. So if that’s not exactly your style, there are many lighter versions available that drop the calorie count by almost 80 percent and still keep the creamy consistency. However, the fats in coconut milk aren’t exactly bad for you. Hall told us that coconut milk actually has, “high healthy saturated fats, mainly in the form of medium-chain triglycerides (MCT), which are a type of fat that is absorbed and utilized as energy similar to a carbohydrate.” So as long as coconut milk is consumed in moderation, it’s a great alternative, especially for those allergic to lactose, nuts, and gluten. An important note to eliminate confusion: coconut milk and coconut water are not the same things. Coconut milk comes from the flesh (the white part) and coconut water is the liquid that comes from the center of a young, green coconut. (Honestly, though, I love both). Rice milk is another non-dairy option that’s great for those with allergies (no nuts, soy, gluten, or dairy in sight!). It has the least amount of fat (both saturated and unsaturated) and cholesterol when compared to almost all popular milk alternatives. It also has quite a lot of antioxidants and B vitamins. The consistency can be a bit watery, so if you’re looking for something that’s close to dairy milk, then this might not be the best choice for you. Though low in a lot of the more unfavorable nutritional aspects, one of the biggest downsides to rice milk is that it’s extremely high levels of carbohydrates—anywhere from 22-38 grams per cup. This makes it far less suitable for people with diabetes or those trying to watch their sugar levels, as it can cause a sudden sugar overload. An important and often overlooked note on rice milk: due to the slightly higher levels of inorganic arsenic that are commonly found in rice products, rice milk might not be the best milk alternative if your diet consists primarily of rice, you are pregnant, or very young. Alright, we know what you’re thinking here. “Hemp? You mean like marijuana?” Not exactly. Hemp milk is made from hemp seeds, and while marijuana does come from the same plant (i.e. “Cannabis sativa,”) the seeds that are used to make hemp milk only contain trace amounts of THC (the chemical that gets you high in marijuana), so getting stoned off your morning bowl of cereal isn’t an issue. Macadamia milk is primarily made in Australia using Australian macadamia nuts. While Milkadamia is naturally the brand of choice it might be hard to find it in a cafe since supply has been limited. However, if you do happen to give it a sip, you’ll notice that it has a similarly rich and creamy texture to cashew milk and it’s free of nutty flavor. As for the health benefits, like other nut milks, it’s very low in calories and fat, but also low in protein and carbohydrates. Where it lacks in that department, however, it makes up in healthy monounsaturated fats, the same stuff that olive oil is praised for having—macadamia nut milk has almost four grams per cup. According to Healthline, “increasing your intake of monounsaturated fats may help reduce blood cholesterol levels, blood pressure and the risk of heart disease, especially if it replaces some saturated fat or carbohydrates in your diet.” Nice! So there you have it. We’ve laid out the cold, hard, facts about non-dairy milk alternatives. What’s my favorite, you ask? Right now I’m loving coconut milk, especially in my cereal. Will I be able to make the switch from dairy to non-dairy permanent? Now that’s another article.